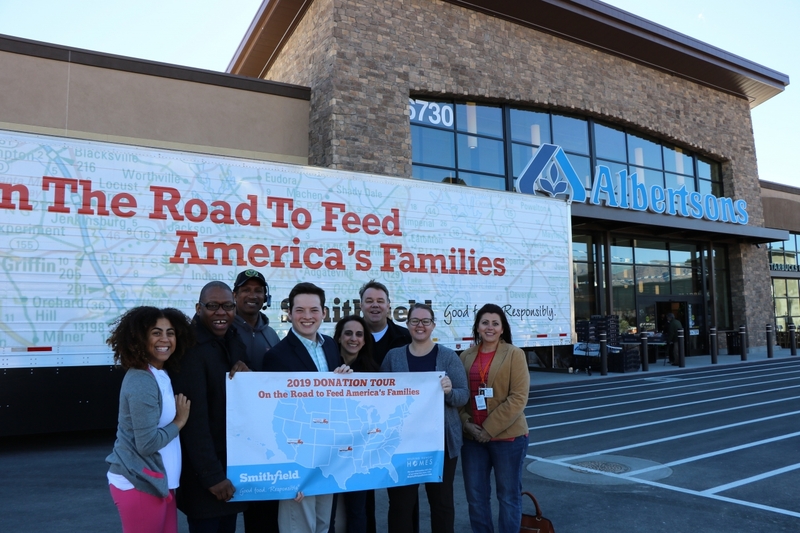 LAS VEGAS, March 14, 2019 /3BL Media/ – Today, Smithfield Foods, Inc. and Albertsons joined forces to donate more than 40,000 pounds of protein to Three Square Food Bank. Smithfield’s contribution was part of the company’s 2019 Helping Hungry Homes® donation tour. Helping Hungry Homes® is Smithfield’s signature hunger-relief initiative focused on alleviating hunger and helping Americans become more food secure. The donation, equivalent to more than 169,000 servings, will help families fight hunger across Southern Nevada.